I am stoppin in here tonight with one last October MFT release card. 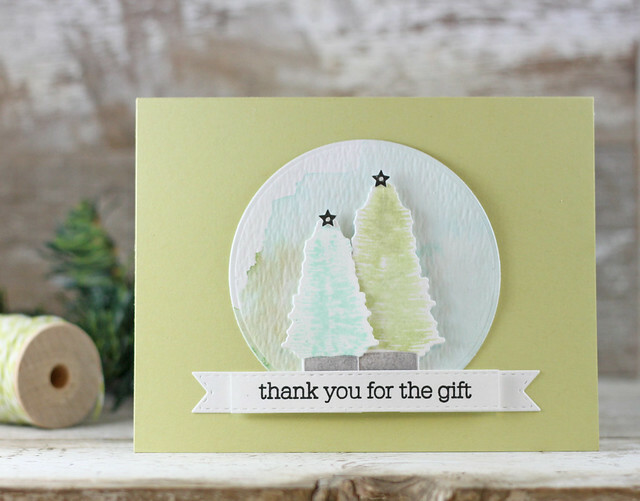 This new set called Trim the Tree has so many fun little details. I decided to make a quick and simple tag. 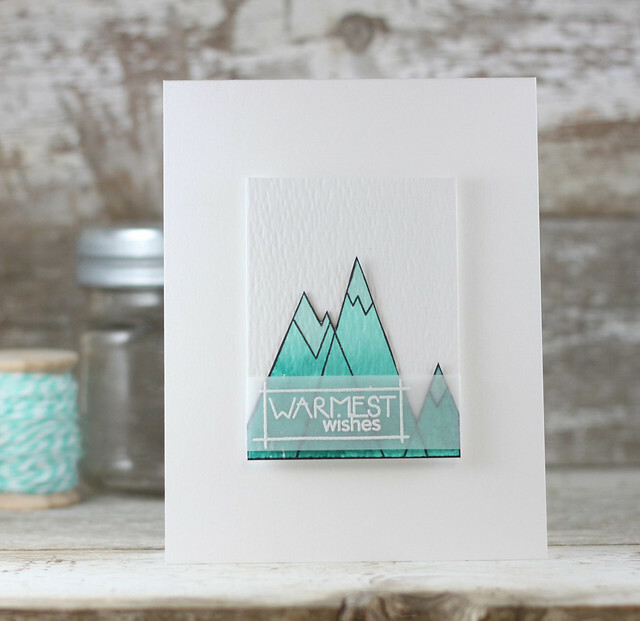 I used the Stitched Rounded Square Stax to make a card front and then added in to a folded card. I popped a hole in the corner and added some twine to make a gift tag. Christmas on Halloween. Crazy right? Hope you are all having fun and out there trick or treating. Stacey Schafer and I just got back from Waco, TX. We went to see Chip and Jojo! This weekend was the grand opening of their Magnolia Market at the new Silos so we had to go down to check out the new place. It was amazing! Such a fun time! Ok, hope you have a great Halloween! Thanks for stopping in! 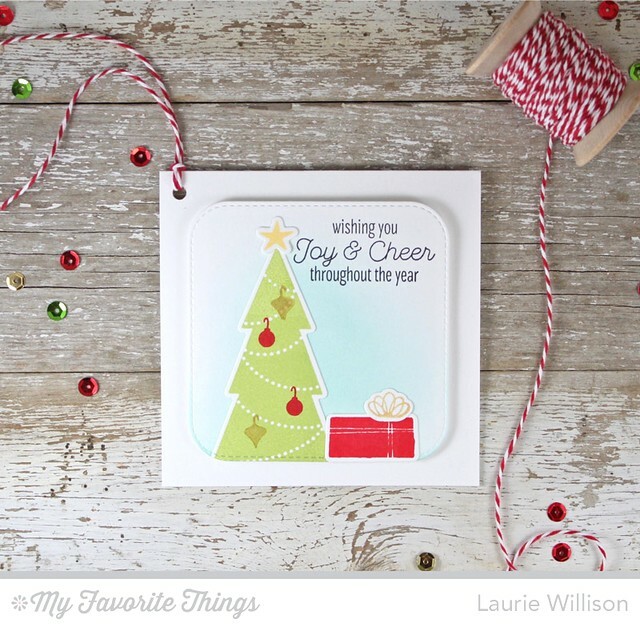 I am loving all these Christmas goodies that are out right now. 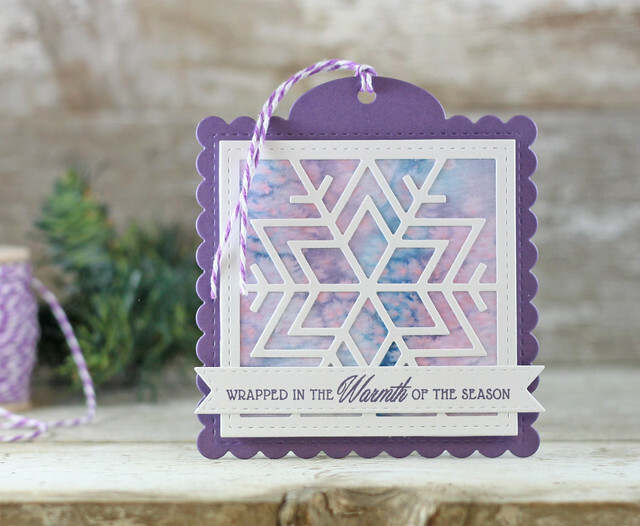 I have another MFT creation to share today. 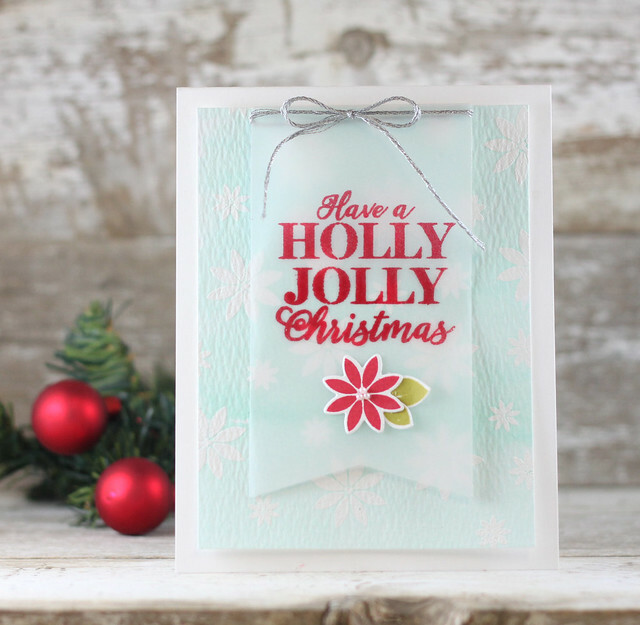 This one uses the new set called Joyous Christmas Sentiments. I adore this font. I used the stitched cut out from the Cover Up Companion Vertical to make the masked tag. And lets talk about the MFT color Red Hot. There couldn't be a better name for the ink. It is gorgeous! I added in a top banner of stenciled sour apple using the Split Diagonal stencil. Another detail is a piece of vellum tucked in behind the tag. I also added in a strip of gold cardstock and some red bling to finish it off. So happy you came by today! Hope your Monday is a good one! There is a stamp set that I keep on my desk at all times. It's called Many Thanks. Every time I flip by it, I remember how much I love it and always intend to use it. So happy to have some crafty time today to finally use it! 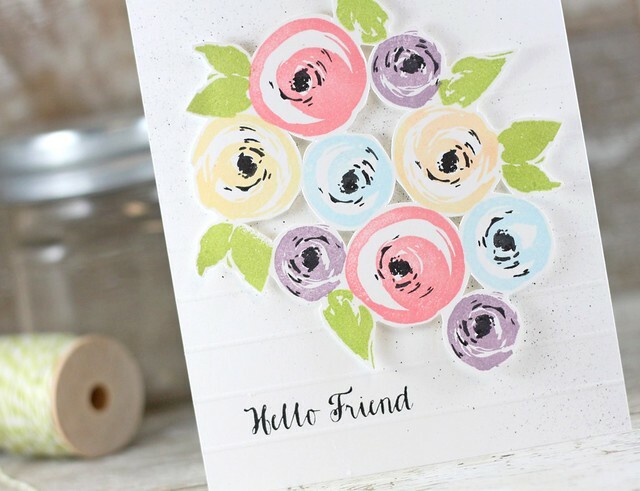 I stamped a grouping of flowers and leaves in the colors linked below. Then I cut around the outside and even cut some spaces out in between. I scored the card base and misted it with a black copic and then attached the flower panel on with foam tape. I added in the sentiment last to finish off the card. I had an awesome weekend with family here visiting. We had a bonfire and a hayride and the weather has been gorgeous and now my house is a disaster. And I am not going to clean it tonight. :) Off to sit on the couch. Sound like a good plan? Thanks so much for coming by! Hope you have a great evening! Thanks so much for hanging out with me these last few days! Your comments are so very appreciated! Stop over to Nichole's blog to see all the details on this October Release and the contest! Have a great day! 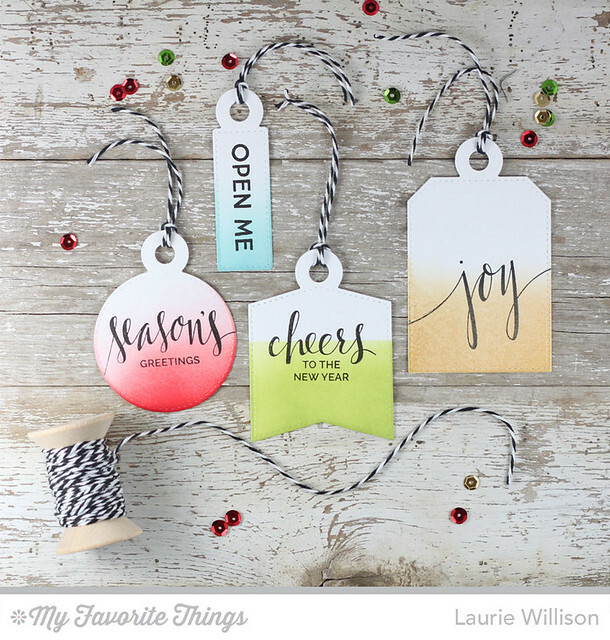 If you love making tags as much as I do, you are gonna love today's Holiday Tag Extravaganza over at MFT. 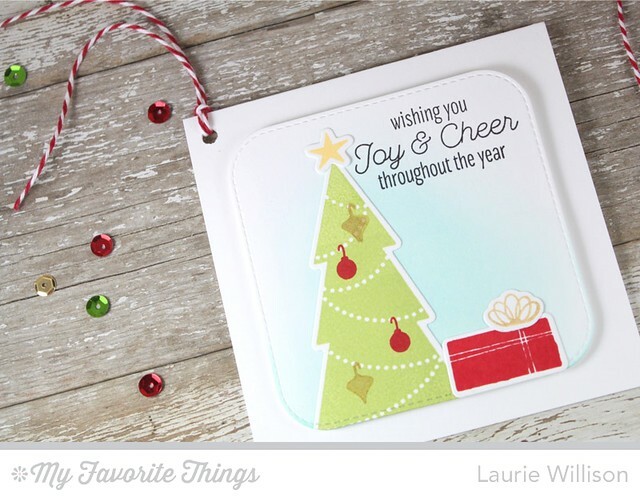 They have a new tag die set this month and lots of fun sentiment stamps that will al combine to make some adorable tags. To follow in my CAS tradition, I used the Die-Namics Tag Builder Blueprints 4 to make these fun stitched tags. 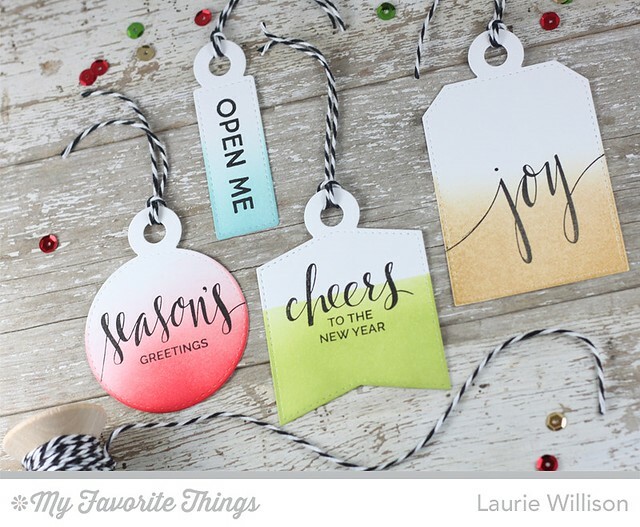 When it comes to holiday tags, you can go elaborate or when your in my shoes....and need quick and simple, you go the more easy route. But simple and easy doesn't always mean plain. 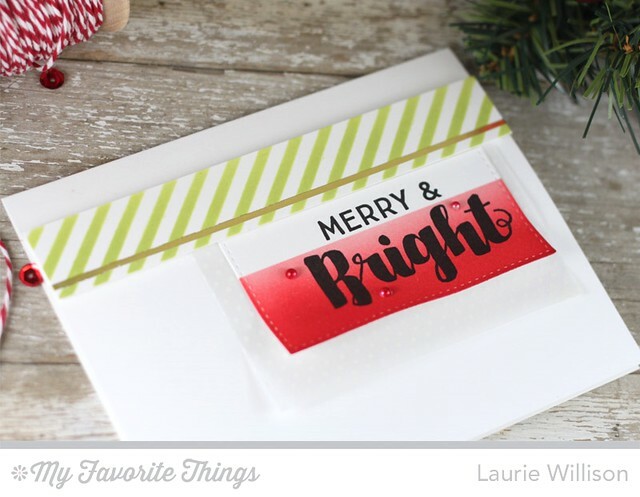 I whipped these tags up in less than 5 minutes with some quick ink blending and the Hand Lettered Holiday stamp set. 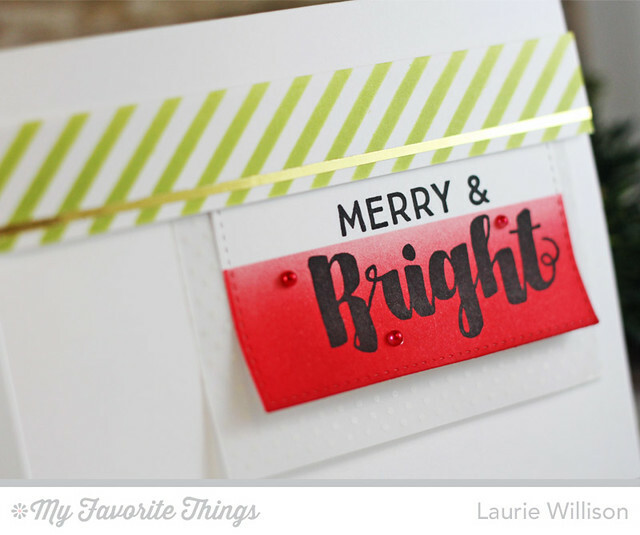 I chose some fun Christmasy MFT colors and even included Delicata Gold ink. See how awesome it blends too? I topped each tag off with some black twine and done! Now I am ready to start an assembly line and crank some more out. I hope I have inspired you to create some quick, clean and simple tags. 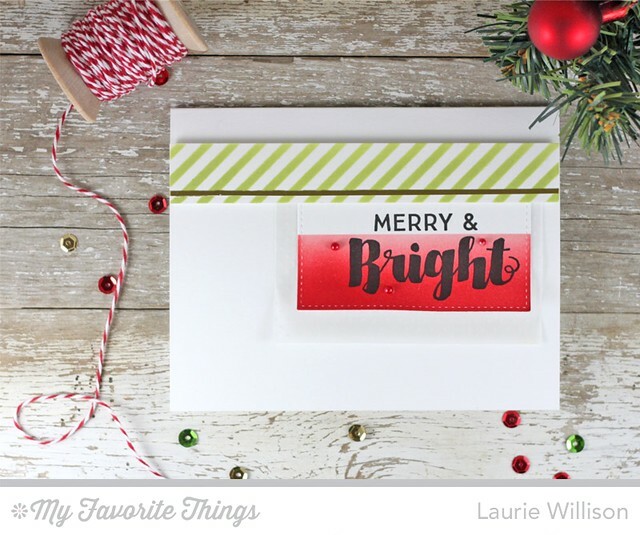 Stop over to the MFT blog to see what the rest of the team has for today and don't forget to create some tags and play along! Hope you have a great day!